Home Lifestyle How Would You Enjoy Your Retirement To The Max? It dawned on me recently that my parents have now lived abroad for 13 years, having moved to France a month after I moved home after almost 5 years in London. Nothing I said, I assure you, they just wanted to experience a new way of life whilst enjoying their much deserved retirement. It can be a really daunting prospect, moving into retirement after years of working 9am-5pm, suddenly you are faced with all that free time, but what do you actually do with it? 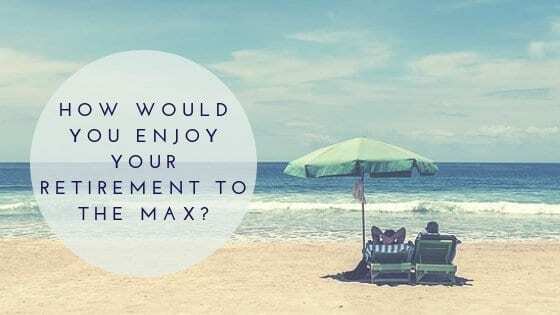 While they were doing their retirement planning they found this tool on Sunlife, which gave them a few ideas of how they could enjoy their retirement to its fullest! Seeing more of the world was a priority for them, alongside being more active and social. Moving to a new country seemed to tick all the right boxes and they have truly never looked back. In fact, I am no longer bombarded with phone-calls asking what I am up to as they are hardly ever in! Fortunately than means a lot less earache for me! I guess in some respect’s moving to a new country is just like being on a constant holiday, except it really is not! Whilst people say I am lucky to have parents who live in another country as it makes holidays easier, I simply reply with ‘You have no idea!’ and roll my eyes! I very much appreciate down time when it is holiday time, slaving away with work and as a parent, I want to enjoy a week off to the max! Soaking up the sun in a horizontal position is how I perceive holiday time, not having to tidy my room, iron and wash the pots! Which is exactly my list of chores when I visit my parents. Don’t even get me started on having to mow the lawn! So whilst retirement may seem fun, actually it just means you have more time to fulfil chores, with the list of chores probably being more extensive than normal. I am sure my father potters around in the garage more than is necessary to waste time from having to iron… and I am pretty sure my mother is fully aware of this! It is only in the last year or so that my parents have found the time to venture out more on mini breaks and longer holidays in and around Europe with friends. Life in a new country has now become routine for them and upon realising that they did not move to simply be stuck in a routine, they are now getting to enjoy the retirement time they originally planned on. In doing so, they have happened upon some beautiful places they would not have ordinarily visited and I am happy for them. Happy that they are finally fulfilling their retirement dream and certainly happy that I have much less earache due to them now being so active! The moral of this is always follow your dreams, failing that, ensure you have a garage you can hide in!